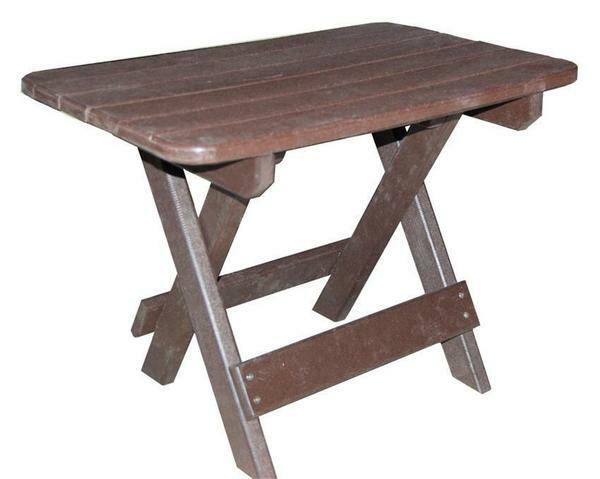 Our Amish Poly Folding End Table is great outdoor end table that can be folded away into storage when not in use. This attractive folding end table not only comes in a wide selection of customized colors, it is also built to last generations of outdoor use! Proudly made in America by authentic Amish craftspeople.